The Mental Health System is broken. It is not functioning well, it is disconnected, lacks congruity and relies on short visits from doctors, not prepared to see their “patients” and a long list of drugs that they think will work within 4 days. They don’t, medicine takes time and should be accompanied by a healthy diet, good sleep, exercise and trust. This is now the 5th hospital stay for my son in two years. Each visit lasted one week to 5 weeks. He was always discharged right when our insurance was about to end. We didn’t notice this until the pattern emerged after the third stay. My son knew this too, he has learned to be institutionalized, he knows his rights and what he can refuse and not refuse. Now I don’t want the reader to think I believe all mental health care workers are bad or incompetent, but the system in which they work seems to be like the mind of a schizophrenic; many voices shouting over one another, people doing things that overlap, a system that doesn’t believe the patient, or the caregivers input. they simply want to stabilize and get them home. Trying to work with them leaves me so exhausted and stressed I just want to find a way to start my own facility. Get about 10 million dollars in grants, buy land, build housing, base the model on a system that incorporates the spiritual element as well and use the money so people can actually afford to come live there. A self sustaining facility, growing their food, nutritionists, fitness trainers, doctors who want to stay and mental health nurses and aids that love people and don’t get cynical. A wild fantasy for sure. There are a few I have found some that sound promising ( except the spiritual part) but they run about 26,000-30,000 per month. That’s right, per MONTH. Who can afford that? Average stay is one to three years. This last hospital visit was the worst. The facility was the nicest, it was the cleanest, almost posh, but the workers were detached and didn’t even know my son’s name. I came to visit and no one talked to me, acknowledged me or my son, it was so odd. Not a hello, or “is this your mom”? or “this is how he is doing”….they called him by his first name ( a big clue that they didn’t even know he went by his middle name). Visitation was a joke, one hour at the worst time of day ( three times per week). My son, for the first 3 and 1/2 weeks was throwing up his meds. I told them he was, but they didn’t believe me. They said that couldn’t happen. But he was pacing so much his socks wore out and he lost weight. We had to buy new pants and socks, but still they told me there was no way he wasnt getting the meds into his system. I explained about his personality, but the doctor told me he couldnt listen to my ideas based on a hypothetical theory. I said, it isn’t theory, he is waiting you out, he won’t comply because he know you will release him in 30 days. The doctor did take that to heart and told him he would keep him longer. Then an amazing thing happened, my son took his meds and began to participate. He slept through the the next four days but stopped pacing and barely ate. He needed the sleep I am sure but now he was a zombie. Now by this point the dosage was so high because they thought he wasn’t responding, he turned into a walking zombie. they were happy because he stopped pacing and actually slept longer than one hour per night. I requested they drop the meds back down to entrance levels and the doctor actually agreed with me and lowered the dosage, but it was still very high and because he refused to give blood they couldn’t test the depakote levels. We knew that day 30 was arriving and they would release him because our insurance was up, I asked for a 4 day extension because my husband was still in Korea for an army conference and I didn’t feel safe bringing him home alone. We haven’t been safe, it has been dangerous, emotional, violent, erratic and we feel like we are fighting an unseen fiend who is preying on our son. Everyone in the household is on edge and the tension is unbearable. This, unfortunately, feeds my son. He , like an X-man mutant, receives all our tension and feeds on it. We try to conceal this life from others, but it pours out like water you try to hold in the palm of your hand. We then had to follow up with the local law mandated appointments with the county run center. My son would not speak, paced the halls, was verbally abusive and obviously mentally unstable at the time. I could not make sure he ingested the meds. ( to the novice reading this, I assure you that following around a 21 year old man and watching him to ensure he keeps the pills down can be dangerous, to avoid violent conflict I ask and trust and then watch behavior, if he is acting out I tell him I have to call 911, that usually makes him compliant, I just do not want the reader to think it is as easy as watching him swallow pills or stand outside the bathroom, what you deal with in this situation is not rational or reasonable, you must throw out those techniques) But the county behavioral health did NOTHING for us. I begged for help, I needed in home help, a nurse or a mental illness specialist to help me or a home or living facility he could stay, anything. But nothing exists. She spent 15 minutes typing as I talked, because my son “saw fit” that I should speak and not him”, of course everything I said “were lies and needed to be deleted” She was typing continuously while I talked, it was a loud keyboard and extremely annoying, I don’t know how my son didn’t come flying across the table. Want to be tense?, just type everything a person is saying while they talk, don’t look at them or listen, just type type type….maybe a new system could be installed, voice recording and then have someone type it later? I dont know. Just don’t irritate mentally unstable people more please. I asked what I should do, I was a little scared, she said ” he said he wasn’t suicidal or homicidal so she could do nothing” I actually said that, remember he wasn’t speaking…. She said I could take him to the ER but they would only think he was an angry teenager, but he isnt, he is 21, almost 22. So alone in a vast sea of undulating waters that pulls us down to the bottom while we fight the current trying to get a breath we go on. I left and wanted to sit in my car and cry. But I knew my son would feed off that emotional surge and I had to remain calm. I had really hoped the doctor prior to discharge would use his leverage, and tell my son in order to be discharged he would have to 1. allow them to draw blood and run a full blood panel screen to check his system, 2. run a drug screen and 3. they could order a brain scan so we could look at this neurologically and rule out anything there. He denied all three. He said the brain scan was only for traumatic brain damage and would not help my son’s case, ( not true, I have several academic papers from Harvard, Mayo clinic etc) and they show schizophrenic brains on scans can show us a lot. He hasn’t had a blood panel since this started three years ago, we have no idea of white cell counts, and all other levels,. I was so upset because the leverage was needed to get compliance. We will try on our own to find a neurologist and get this done this week if possible. I will have to find my own care givers by searching alone yet again. And just for the record, I am a member of NAMI, I support them, but the support group I attended was so depressing I just couldn’t go back. I sat with women twice my age who had been taking care of their sons for 25 years and they were no better. They were in and out of hospitals , broke, non compliant with meds and many had been in jail. I am just not ready to concede. I would rather be in denial for a while longer , I would rather choose hope and and work to make a new system. I will await my miracle aslo. My husband and I have decided to just tell people he has cancer when he acts strangely, we could just say he has brain cancer. Then people wont be so scared and judge him or us. It is crazy to say that, but if he was terminally ill anywhere else in his body people would be kind and helpful, but if it is a sickness of the brain, then it is our fault or his fault and they avoid us, judge us and leave us. ( most don’t say that out loud, but you hear what they say, people don’t’ keep secrets.) People just can’t handle unresolveable situations. Because it is so exhausting and you never feel like it will end, others just don’t want to be around that. I can’t explain it, but we have lost friends because they think we should fix this and move on and if they don’t see results then we arent doing what needs to be done. They don’t believe me when I tell them how broken the mental health system is, they just don’t believe me. And they don’t think it could ever happen to them because they are good people and good parents., that cause idea again. 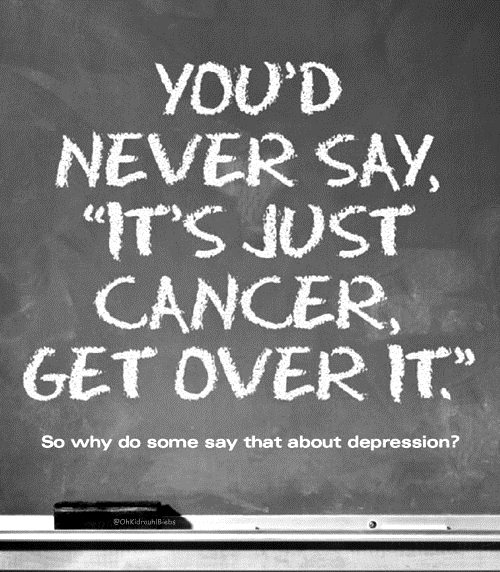 No one would ever blame a parent for cancer or diabetes or autism, but mental illness…..there is a stigma attached to that. I just have to smile and try to educated them. If they really want to know I have books to read and they can search. I have one dear friend who is already searching, reading and doing all she can to help, she was with me at lunch with my son and it so shocked her she went into full blown “I must help her mode” Thank heavens for friends like that. No judgement and the power to want to make changes. Be that friend, be that person who will step in and help. Be that person that writes the congressional leader to fund grants to open facilities, who will stand in the gap with fervent prayer. I am so blessed to have that friend, I am not alone. Christ sustains us and sends us people who will love and care for us. Even in the mess. 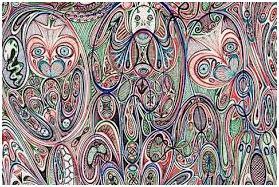 Because this is messy and weird and unworldly. This song seemed appropriate to listen to as I left the behavioral health facility after another visit to see my son. The noise in my son’s mind must be unbearable. His drugs are dosed way too high. But then again when one gets thrown into a stabilization facility and they don’t know you and you are not yourself they simply start guessing. The problem is the human condition is fluid. Not everyone is static. One drug may work in miniscule amounts or not at all. My son was off all meds and we were all told nothing was wrong 9 months ago. We took him off everything according to this doctor, I wrote about it in a previous blog. We chose to believe him. It was nearly impossible to think this Psychiatrist was right, but we did as he prescribed and took him off all meds. For 9 months my son was as right as rain, as normal as he could be considering all he has been through. I will still choose hope and belief. What else am I left with? At a meeting I tried to attend I was told the sooner I get over my denial and accept his illness, the sooner I can heal and move on. Call me stubborn , but I am content to live in denial and pursue hope and healing. I just can’t give it all up, I am not ready, I may never be ready. This battle is ongoing and we had some rest and relaxation for 9 months, but the enemy is back. I know I am supposed to be all scientific, but I just refuse. I have a body, a mind, a soul and a spirit. My soul is where my will and my emotions live and my mind plays a part with that soul and also with my body. But my spirit? Yep ,it has a part to play also. It is where faith lives. All humans have faith-they simply put their faith into different values and ideas. Some have faith in Jesus, who claimed to the be the son of God and was crucified for His statement of Godhood. I am one of those who believe He really was son of God and really was crucified and then on the third day He was resurrected and defeated death for my sins, my inability to live a perfect life. Some have faith that there is no God, or faith in themselves, or faith in the universe or a doctors diagnosis. Mental health is too complex to leave to one aspect of the entire human condition. He needs His spirit to be filled and protected, he needs his mind to calm down and stop racing and shut down ( drugs can really help here), his soul needs nourishment to know and realize he is loved and safe and his body needs sleep, good nutrition , exercise and in his case NO ILLICIT DRUGS. It is like he is allergic to them. They open something up inside him and out comes strange ideas, movements and paranoia. What is interesting is that his symptoms are like so many others. I mean literally. Same script, same words, same attacks, same voices……how can that be? I can understand diabetics having the same symptoms because their organs pretty much work the same in everyone’s body in the same way, or in their case they don’t work. But mental health? How can symptoms cross cultural, racial, socioeconomic barriers? Even religious barriers? The more I read accounts the more I see my son in other’s books. Same signs, symptoms, voices, gestures, etc. So I know the brain is doing something chemically, from some cause ( drugs seem to be a trigger) and almost all people lack insight that something is wrong. Their brain literally tells them the wrong signal. It seems intentional, like an enemy force put the play into action in their brains, that the enemy was able to get inside and send signals to fire in the brain for them to say the same things, act the same way, use vulgar language, become super strong, see the same figures…..How can this be? It has to be spiritual. Relapse is a word that I am familiar with. It is not a word I like. In the past week I and another dear friend have been hit with relapses. First, I am not sure if relapse is the right word, but it seems to fit the bill. The dictionary defines it as a deterioration in someone’s state of health after a period of improvement or temporary improvement. I suppose the word temporary is where I am going to camp. 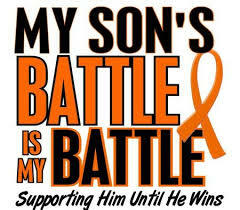 The relapses deal directly with our sons, our son’s health as specific. I know what it is like to have a doctor tell you your son is fine. That he needs to live a certain lifestyle in order to maintain this healthy state, but he is not ” out of his mind’. I have a dear friend who also knows that feeling of joy, actually elation coupled with desperate relaxation that your son is healed. Though the road ahead is filled with things to deal with, at least he is on the way to recovery and a life. This past week we both were hit hard with bad news. Although our sons are separated by 19 years, they are still our sons. It happened so suddenly and then again when you look back there are those tiny tell-tale signs that you may have seen but weren’t quite sure. And here we, as mothers are, sent back to the hospital for our sons. Their conditions could not be more different than they are, but the one thing they have in common is the timing of the week of relapse. And it is a relapse that could be fatal in both cases. How do I process this in the face of what I know to be true? I know God intervened and sent us a most illogical and unexpected answer to prayer that my son was not mentally ill. That his condition is brought about by means he must stop. Another mother is seeing the evidence of God working miracles in her son’s precious life as day after day prayers are answered and faith turns to confidence in the outcome. But then it hit, that small nag in the pit of our collective stomachs, that mother radar that something is just not right. And then comes the doctors confirmation. What do I do? What do I say? Do I believe? There are those who are ready to tell me that the doctor was wrong the first time and he will always have this ( although “this” is yet to be defined) and we will float between relapse and health for the rest of his life. They don’t believe he was healed or ever will be. Do I listen to them? It seems plausible, I mean it took me by surprise to consider that God had heard our prayers and he was touched. But we did believe, we knew there was a change, we saw the steady progressive steps of healing that began to transform our son. We have a “new normal” for sure, but still we have a definite plumb line to distinguish when he is not himself. And what of my friend? I have seen such an amazing answer to prayer, an outpouring of community that shows the absolute goodness of people and their dedication and support and belief that her son will come out of this illness whole, even if it is a “new normal”. I have the same conviction for her, I know God is near. But I am reminded of a lesson I recently taught while in a Beth Moore study on Daniel. It was how God always delivers us, but it can come in three different ways. The first is to be removed from the calamity or trial. Many people have been protected and delivered from trauma, trial, and pain due to God removing them from the situation. A door opens and they are able to escape what was coming. I have a couple of friends who fit this category. I admit, I am a tad jealous to see them have such drama free lives and such trouble-free days. But I know God has a plan and it involves all our histories and it involves more than ourselves. He is able and if He plucks you out of trouble, Praise His name!! 2 Then there is being delivered through the trial. This means you go through all the struggle, the pain, the suffering,but He is right there and leads you by the valley of the shadow of death, but it does not come near you. It feels close, almost certain, but God delivers your through this situation. This happened to Shadrach, Meshach and Abednego, they went through the fire, but God was with them and they didn’t even smell like smoke when they stepped out of the furnace. A furnace so hot it killed the men who were stoking it. The cords that bound them were loosed and burnt off, but they were not even singed and completely smoke free. I have known God to work great miracles in people’s lives and see them come back through a horrific accidents or a tumultuous marriage or even a season of sin that should have left them not only smelling of smoke but burnt up with scars, and yet God saw them through this fiery tribulation. Then there is the third way He delivers. He delivers us right into His arms from the struggle. My sweet dear friend went through and then after a healing and a relapse she went straight into the arms of Christ where she is right now. I am sure she would have wanted to stay and be with her family, but I dare say if you asked her to come back she would decline. The word of God tells us that we cannot even imagine the things He has planned for us in the life to come. His sheer presence and love would surround her in such peace she would stay and wait for the time her sons and husband would see Jesus face to face as she does now. As a human soul I of course will vote for being delivered from the trial I don’t even want to go through it, but in my 49 years I must say in all my many experiences, I see God gets me through. If I have been delivered from, then it comes from an unseen force and I am blissfully unaware, but I praise God in all things. I do not know the road ahead, I am fighting the darkness that ensues when there seems to be no answer. I am so pleased to note that my friend has had an answer. She and her dear son will “go through” again, but it is an amazing answer to prayer again. I know God is in this plan and I and others pray for his strength to do this again. Sometimes it is hard when you know what to expect, but she also knows the strength of God to soar like an eagle. My road is less obvious at this point. We have no earthly idea what to do. I mean we really have no earthly idea, we have no plans, no ideas and in the world of mental health there is so little help or encouragement. So I pray and ask for direction. Some how there must be a way to get him safely out of this state, but it lies beneath the sound I am able to hear. Relapse is hard, no doubt. It is not a new season; For in order to have relapse one must have had a respite. So I will trust that God has answered prayers, loves my son more than his dad and I, and that He has a plan to protect my son and get him out of harms way, if only in his mind. I just want you all to know I am just a lone mom on a journey of life with Christ. A journey into the dark depths of mental illness. A place I never knew existed, or that this could even happen to my son. This was not in any baby books, or even teenager books. I have been hit broadside. I do not have answers and fight the desire to crawl back in bed and sleep. When there are no answers, no plan, no way to fix it and people flee from you because they can’t understand why you don’t fix it; you just keep on keeping on. So I will write, read, cling to my Lord and God and know that somehow He has a plan not only for my son, but my friend’s son ( although different illness) and for all those mothers who don’t know why this is happening. What is family? Is it something you are born into? Is is something you are chosen for? There are families that have children from a biological standpoint and others from adoption. The quote ” blood is thicker than water” is often used with family. People say you can choose your friends, but your family is chosen for you. You have no control over that. Many people struggle with family. Not everyone is blessed with a solid two parent ( male and female) family that is based in the strength and knowledge of the Lord. Not everyone has family that they can count on in this human existence. I think that is why some struggle to come to Christ, they have a bad taste in their mouth of family. One of my dear friends of over 15 years lost her husband last week to a sudden and unexpected death. She is now a widow. She woke up and he was gone. He was no doubt out riding his bike, as was his custom, and then in a second her whole world changed. What struck me as the ensuing days flowed along, was the absence of her mother, father and siblings. Finally after a few days and just one day prior to the funeral I asked her where were they? Why weren’t they here? I find it is sometime good to just ask bluntly and kindly and not try and guess or find out from another source. One look in her eyes and I knew the answer. She did not have a idyllic earthly family. She did not have a family that would swoop in and embrace her when she was utterly exposed and helpless and in a state of mind that needs a nurturing mother, sister, sibling. I knew at that moment I was her mother, her sister, her friend. If she had been my family sister I would have dropped my life and ran to her side. That is what family does. But you see, I did, as did so many others that came to her needs. 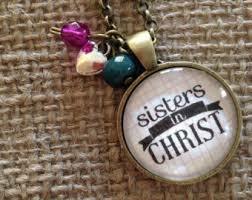 We are her “blood” family; A true family of Christ and we swang into action. Blood is thicker than water, and that blood is the blood of Christ. This is a better blood, a perfect blood and one that saves us so we can be together in eternity. Because, make no mistake, we are all eternal beings simply inhabiting a body, one day we will leave this shell and head to parts unknown to our natural human senses, but there are places to spend eternity. Where will you? As I sat with the women in bible study and we prayed and wept, I thought outloud and charged myself and them also, that we are that family member. We are that sister, that mother. This is our family, the family we are “born again” into. Not by choice, ( of course we have free will), but by the power of the Holy Spirit knitting together this family. Guess what? I don’t get to choose them either! Just like an earthly family I am born into this God family and it is no less a family than the one I live with daily. We are called to be the family of God. We are to bind them up, mourn with them, stop life and sit with them, be there in the coming weeks, months and years, as life on this planet continues. Her husband was a believer, He is with Christ, we saw his body, he was not there. Paul tells us in scripture that to be absent from the body is to be present with the Lord, He was absent from his body, He is with the Lord. But my dear sweet sister is very much in her body, and it is tired, sore, feeling all sorts of hormonal and emotional responses foreign to her and we are hear to help. So today, I charge you, do not go back to your comforts of home, your closest family after simply giving a meal or a prayer. Treat the body of Christ closest to you as you would a member of the family you live with. This will cause sacrifice, schedule change, life change, but it is the call of God. James tells us that the true Gospel is to tend to the poor, the orphan and the widow. That is what we do, we tend and care. I don’t know how long because I have seen God show me that this is not a timeline, she is my sister and I am hers; I am there for her as long as I am near and able. This is how we are different from the world. We don’t just send a flower, a card, a prayer, we act as family members and family members that love, care and respond to need. What an amazing God we serve and what a privilege to show His love to another. It is an honor to serve in the kingdom of Jesus, the Messiah, our Christ.